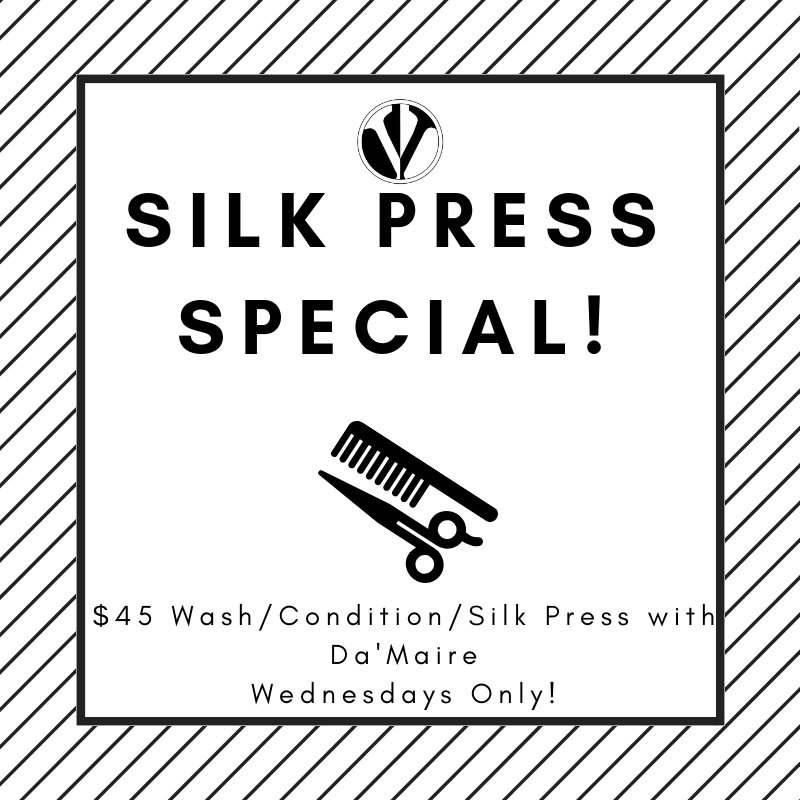 Da’Maire is offering $45 Silk Presses each Wednesday through the end of 2018! Special Pricing Available for this stylist and day ONLY! Briana is offering 50% OFF a Steam Treatment when you book a Twist Set through the end of the year. Available with Briana only on Tuesdays and Wednesdays!